We've included these beaches for you: Manly Beach and Bondi Beach. Attractions like Muogamarra Nature Reserve and Cremorne Reserve make great kid-friendly stops. Explore Sydney's surroundings by going to Pulpit Rock Lookout (in Blue Mountains National Park) and Coachwood Glen Nature Trail (in Megalong Valley). Spend the 1st (Sat) wandering through the wild on a nature and wildlife tour. Spend the 30th (Thu) exploring nature at Bradleys Head Trail. Next up on the itinerary: appreciate the extensive heritage of The Rocks, identify plant and animal life at Tambourine Bay Reserve and Warraroon Reserve Walk, stop by Sydney Fish Market, and take a stroll through Darling Harbour. 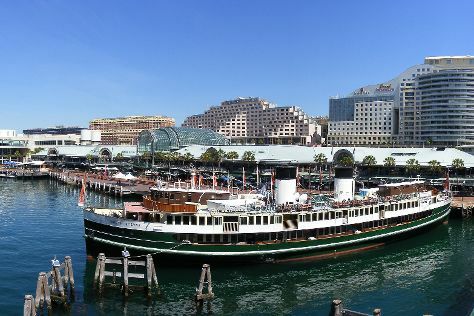 To find ratings, other places to visit, photos, and other tourist information, read our Sydney online day trip planner . If you are flying in from Malaysia, the closest major airport is Sydney Kingsford Smith International Airport. In May in Sydney, expect temperatures between 24°C during the day and 14°C at night. Cap off your sightseeing on the 4th (Tue) early enough to travel back home.